The Kia lineup has moved its way up in the J.D. Power Automotive Performance, Execution and Layout awards since its seventh place finish in 2015. Several models were recognized in the Non-Premium Nameplates category. This award pairs perfectly with the recently announced J.D. Power Initial Quality Study, where Kia landed at the top of the awards list. The Automotive Performance Execution and Layout (APEAL) awards take a look at the satisfaction of car owners with their new cars. This is measured within the first 90 days of owning the vehicle. The award critiques audio features, interior features, powertrain, handling, fuel economy estimates, appearance, and much more. In 2015, Kia placed seventh in the APEAL awards. Through the strength of four key models, the manufacturer has moved up to third place. The Sedona, Soul, Sorento, and Optima won awards as well for their individual performance. This is the second year in a row that the Sedona is marked for an APEAL award. The Soul has won awards four times in a row since 2012, which gives it the highest number of wins within the Kia lineup. It is notable that the Optima and Sorento are at the top of their segments. The Sorento has a ranking that scores 25 points above its segment average. Want to see what an award winning Kia has to offer? The Sedona is a refined minivan that is fun to drive and comfortable for families, thanks to its three rows of seating. It has an EPA-estimated 18 mpg in the city and 25 mpg on the highway. Its Manufacturer Suggested Retail Price begins at $26,400. The Soul is a funky and stylish addition to the Kia lineup with a starting MSRP of $15,900. This five-seater has a unique design and has a great EPA-estimated fuel economy of up to 24 mpg in the city and 31 mpg on the highway. Luxury upgrades include leather seating and Nappa leather. 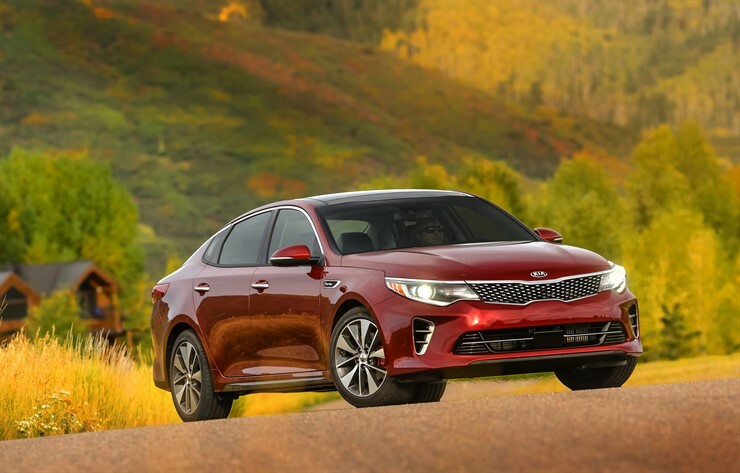 The Optima is a gorgeous sedan with an MSRP of $22,140. It has swift performance, a sporty appearance, and top tech. Explore three different engine options and a multitude of optional offerings to create a customized ride that is perfect for your needs. The Kia Sorento is a terrific SUV with a starting MSRP of $25,400. Enjoy seating for five and excellent cargo space without sacrificing comfort. It has a powered liftgate option, 14-way moving driver’s seat, 12-volt power outlets, and plenty of driver’s assistant options. Jeffrey Kia is proud to house these award-winning Kia models. We are ecstatic about the latest Kia awards, and we look forward to showing you why these models are praised by critics and daily drivers alike. Contact us online to learn more, and take a test drive!